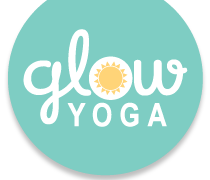 At Glow Yoga we offer a welcoming, non-judgmental studio where new yogis are nurtured and experienced students are challenged. Our belief is in yoga practice, not yoga perfect! We promise a transformative experience every class. Expect to be challenged, have fun and leave feeling restored. Our studio is heated between 80 and 95 degrees. Class types range from restorative deep release to sweaty power flow yoga. COME AND FEEL THE GLOW! Our vision is to cultivate and grow the yoga lifestyle in the communities of the Gulf Coast.